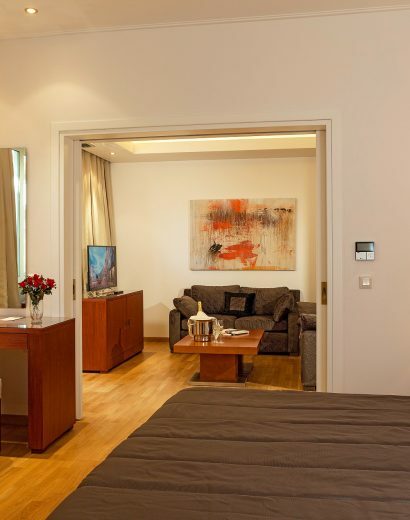 Book at boutique hotel Theoxenia Residence a luxurious Suite and experience discrete luxury. Choose between Best Available Rate and Full Prepayment Non-refundable Rate. See restrictions and cancellation policy for each rate. 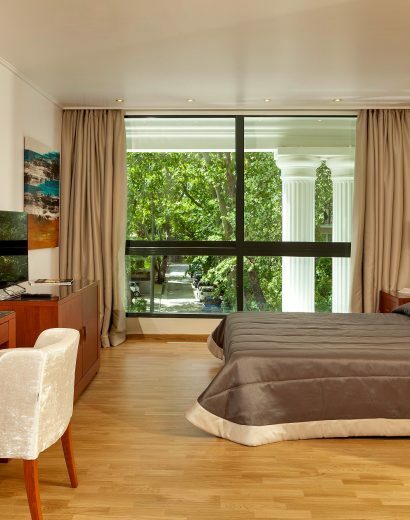 Staying at this all-suite hotel, Guests have full access to gourmet dining, outdoor swimming pool, fully equipped fitness center, sauna, spa and massage treatments, state-of-the-art business center, conference and meeting facilities with banqueting services at the adjacent Theoxenia Palace Hotel. Free wired and Wifi high-speed Internet available throughout the hotel.